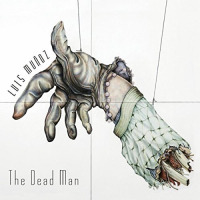 In a thought-provoking concept of intertwining a short story by Uruguayan writer Horacio Quiroga, with a personal near-death experience set to music, drummer/composer Luis Munoz offers The Dead Man, as a lesson in living life in the present moment, for that is all there is. 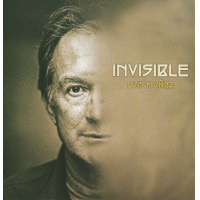 Muñoz has been quite productive over the past few years, releasing Luz in 2013, and Voz, in 2015, on his own Pelín Music label. Both records were carefully crafted creations combining Latin vocals with jazz oriented arranging. On this current release, he adheres to a strictly instrumental presentation, his working quartet sometimes pared down to a trio format, or augmented by special guests. "Secrecy" commences with a strong trumpet introduction from Jonathan Dane, before giving way to a gentle glide through the internal struggle of a secret that is bursting to be revealed. This soft yet dramatic section is highlighted by guitarist Daniel Zimmerman and bassist Brendan Statom, who play off of each other with ease. Using the palindrome reference in "Seveneves," Muñoz, explores the complex 7/8 time signature, utilizing percussionist Ramses Araya to emphasis the projected intensity. They fall into the live trio setting on "The Sleep Of The Innocent," a serene ballad where guitarist Zimmerman is given ample room to stretch out. This solemn mood is continued on "Invisible," again performed with the trio floating into the void. "Tierranegra" is dedicated to Brazilian composer and multi-instrumentalist Hermeto Pascoal, and is based on an accelerated samba rhythm featuring flutist Norma LaTuchie, who defines the brisk pace with melodic grace under fire. The title track, refers to the character in the short story who falls on his machete, and as he lays dying, does not flashback on his past life, but is mysteriously attune to his present environment, taking in his surroundings for the last time. Musically it is challenging and inspiring, for it does not represent death as an ebbing, fading, experience, but as an appreciation for the here and now. Lightly based on an underlying Latin current representing travel and adventure, Muñoz composed "Savannah," over twenty-five years ago in his homeland of Costa Rica, and for this reprise version, stimulates the band in a friendly jam session. 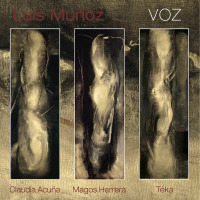 Having worked with these musicians previously, Muñoz knows what each player can contribute to the compositions he has envisioned. His music is cerebral and sophisticated, performed with a romantic finesse, sensitive, yet always a bit daring. 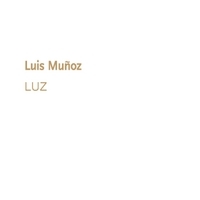 With an impressive catalog that continues to infatuate with each release, Luis Muñoz is a renaissance man focused on his musical mission and mystical vision. 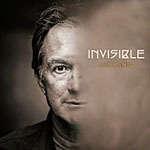 Personnel: Jonathan Dane: trumpet, flugelhorn; Luis Muñoz: drums, piano, Rhodes; Brendan Statom: acoustic bass; Daniel Zimmerman: electric, acoustic guitar; Ramses Araya: percussion; Adam Asarnow: acoustic piano (4, 5), Fender Rhodes (5), Tom Buckner: tenor sax, bass clarinet (5); Norma La Tuchie: flute (4).